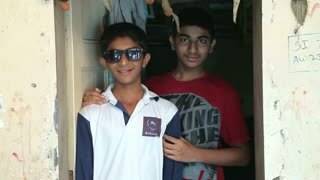 Search Results for "teenage boys"
MUMBAI, INDIA - 12 JANUARY 2015: Portrait of two Indian teenage boys in front of the house entrance. 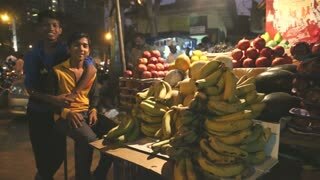 MUMBAI, INDIA - 8 JANUARY 2015: Indian teenage boys at a fruit stand of a busy street market. Teenage boys pitching a tent at the lake in forest. Summer vacation adventure. Teenage boys with a smartphone in a high school. Teenage boys pitching a tent at the lake in forest. Teenage boys camping at the lake in forest. MUMBAI, INDIA - 10 JANUARY 2015: Indian teenage boys walking out of building. MUMBAI, INDIA - 8 JANUARY 2015: Portrait of two Indian teenage boys at the street of Mumbai. 1950s: Teenage boy seated at desk watches other teen boy type on typewriter. Teenage boy proofreads typewritten letter, returns it to typist. Typist signs name with pen. Teenage boys consult binder. UNITED STATES 1950s: teenage boy lectures on fruits and vegetables to men. man talks about cows to teenage boys on fence. teenage boys sit on fence. UNITED STATES 1950s: teenage boys display cows at fairgrounds. men judge cows. taxis drive down city street. smoke flows from factory. teenage boy walks down sidewalk. teenage boy reads notepad. 1950s: Teenage boy and girl talk to grocer. Teenage boy sits at table, talks to other teenagers. Teenage girl leans across table, talks. UNITED STATES 1950s: teenage boy sits in classroom. man leans against podium. man talks to teenage boys in classroom. boys wear Virginia future, farmers, america coats. man talks from podium. man pulls down map of Virginia. 1950s: Hot dogs in display case. Teenage girl sits at table set with microphones, talks. Teenage boy talks. Teenage boys and girls sit around table. 1950s: Teenage boy looks at watch, looks worried. Teenage boys and girls sit around table set with microphone, girl talks. Boy talks. 1970s: Hands clap. Man in suit holds teenage boy by shirt and yells. Hands clap. Man in suit holds teenage boy by shirt and yells. Man leads boy out of theatre. 1970s: Teenage boy leans against wall and laughs. Gang of teen boys drink and smoke near walls. Teenage boys smoke marijuana and drink wine. 1950s: Two teenage boys in high school shop classroom. One of the boys grabs his coat and leaves room. Teenage boy sits on bed smoking. 1970s: Man leans in chair and chews on pen. Boy plays with string from window blinds. Teenage boy smokes and rocks in chair. Teenage boy talks to group. 1960s: Teenage boys smile and talk to one another. Group of teenage boys walk down city sidewalk. 1950s: Teenage boys and girls sit around table set with microphones. Teenage boy at head of table, reads paper, talks, looks to side. Man in booth stands by turntable. UNITED STATES 1950s: hand holds notepad with research, education, service, regulation on paper. teenage boy puts notepad in jacket. teenage boys walks down sidewalk in town. UNITED STATES 1950s: Research, Education, Service, Regulation on blackboard. man lectures teenage boys in classroom. man points at blackboard. teenage boys rise from desks and exit classroom. 1970s: Man talks and sits with teenage boys and girls in counselling office. Teenage boys talk and point. 1960s: Group of teenage boys exit restaurant. Group of teenage boys walk down city sidewalk. UNITED STATES 1950s: man lectures from podium. man leans on podium. teenage boys listen to man in classroom. teenage boy raises hand and talks. 1950s: Teenage boy and teenage girl sit in a soda fountain booth talking seriously. 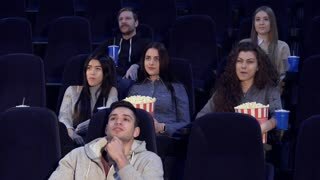 A group of boys passes the booth but the boy stays seated with the girl. The boy takes a sip from his straw. 1950s: Teenage girls and boys sit at table set with microphones, talk. Teenage boy and girl stand at grocery counter, talk with grocer, look at meat case. 1970s: Boy lies face down on lawn. Teens pick up and brush off boy. Teenage boys laugh and drink. Boys hold up drunk friend. 1970s: Woman laughs and points to boy. Teenage boy talks and holds two glasses. Brother coerces boy to give him a glass. Boy eats and drinks at coffee table. Boys eat and talk in living room. UNITED STATES 1950s: Boys Smile at Each Other as they Chat on Street Corner. Two Boys Walk Along Street After Saying Goodbye to Group. Lady Dusting Mantelpiece as Teenage Boy Returns Home through Door. Boy Sits in Chair as Lady Picks his Things Up. 1950s: Teenage boy sits and works in library. Boy gestures. Two boys walk over. Boy sits on table. Boys speak. 1930s: Boy stands poses near tree. Teenage boy poses in yard. Women walk arm in arm. Women and boys stand in backyard. Boys in military uniforms stand with women. Women talk and walk through backyard. 1970s: Gang of teen boys drink and smoke. Teenage boys ride bicycles on lawn. Boy falls off bike and laughs. 1970s: Boy sits in chair and huffs paint. Teenage boy stands near friend and talks. Boy sprays chemical on sock. 1950s: Classroom. Group of teenage boys stand and talk. Young men sit next to teenage girl. 1970s: Teenage boys and girls sit in room full of posters. Teenagers smoke and talk. 1970s: Smoke hands heavy in air. Teenage boys and girls sit in room full of posters. Teenagers smoke and talk. 1950s: Boys in formal attire gather near door. Girl in gown exits door. Boy escorts her from group of boys. Teenage boys and girls in formal dress dance. 1970s: Woman stokes boys hair on sofa. Teenage boys and children sit on chairs and talk in living room. Teen boy lays on sofa and rests head in woman's lap. Rope swing teenage boys at local pond DCI 4K 224.Rope swing in provides end of summer fun for a group of teenagers and friends. Local swimming and fishing pond or lake. Warm days enjoyed for recreation. 1950s: Teenage girl talks in front of microphone. Teenage boys and girls sit around table in front of microphones. Men and woman stand in line at grocery store. Clerk rings up purchases on register.